Hello there Bloodstone! 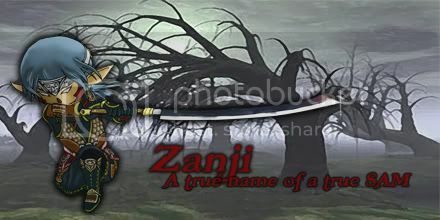 My name Is Rikkitikkitavi, but you can call me Zanji for all intensive purposes. 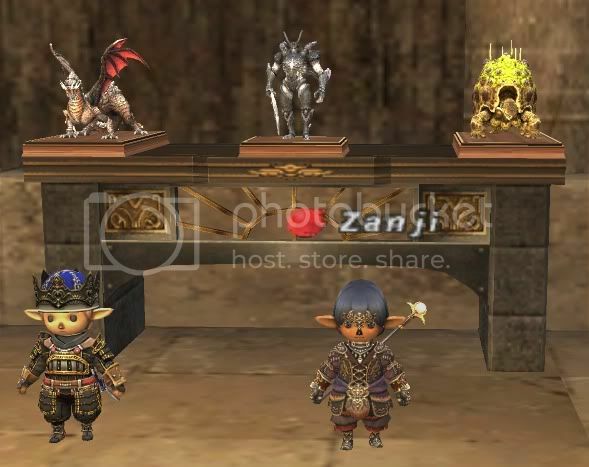 A little bit to know about me, I have been playing FFXI since it was released, and I consider it a hobby of mine. I am married to a lovely woman named Aryn, who unfortunately hates computer games! I like to spend my free time Salvaging, and talking to my peeps. I also play alot of random times, whenever my wife is out on the town, or I am home alone with nothing to do. 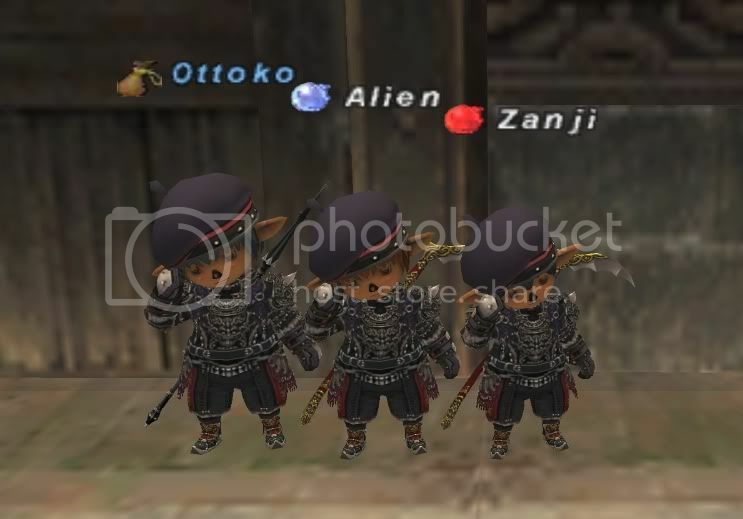 I play ffxi to pass my spare time. I am always available to help anyone when I am on, so feel free to send me a /tell! Thebluecrew - First real Linkshell, broke a few years ago. Still good friends with the old leader, Finisher. Outspoken - Second LS, left before they broke a while ago, they just were not nice to people and I had mixed emotions about that. PurpleReign - My brother has been in this Linkshell since the dawn of time, so thought I'd try it out. Their raid times did not work with my schedule, so I was asked to retire from it. My brother still plays in PR though, bless his heart. Hieucifer - Leader of PurpleReign, great guy. Elfidan - Old TheBlueCrew member, good friend. Whew, thats alot of jobs. Let me narrow that down for you, I consider BLM to be my main raiding job, but I can attend as any of my jobs, and am always willing to switch if needed. Currently I have 629 merits, which may be a bit lenghty to post, so I will provide you with an FFXIAH link to view them. Basically each job is capped on what is needed to be the best in that area. My goal in ffxi is to make sure that each of my jobs are fully merited and geared at 75 before leveling another one. I take pride in each of my jobs, and learn how to effectively use them for raids and events. Salvage Gear: 5/5 Morrigans, 4/5 Usukane(missing body), 5/5 Marduk, 4/5 Skadi(missing body), and 5/5 Ares completed so far. Currently 72/75 Total pieces for all 5 sets. 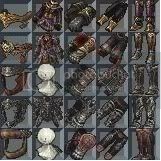 HNM Gear: 5/5 Adaman (Hauberk Included), 4/5 Hecatomb (Missing legs), 4/5 Crimson (Missing head), 4/5 Zenith (Missing Feet), 5/5 God named gear, Shura Togi, Ridill, Black Belt, Hrotti, Aegisjalmr, Pixie Earring. Sea/Limbus Gear: 5/5 Homam, 5/5 Nashira, Merciful Cape, Altruistic Cape, Love Torque, Justice Torque, Hope Torque, Temperance Torque, Novio Earring, Novia Earring, 15 Af1+1's completed. 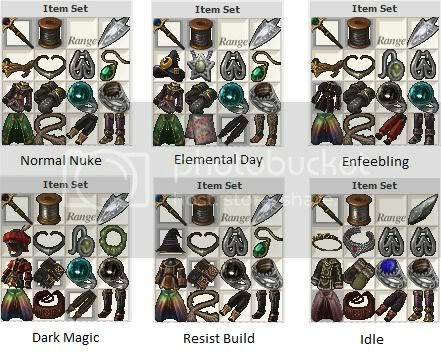 Nyzul Gear: 4/5 Askar, 4/5 Goliard, 4/5 Denali, all weapons done and WS's unlocked. I have been here so long, it's hard not to know everyone ^^, but I mainly know the people that I play in the mornings and salvage with! Armangetto, Kyli, Cecildarkknight, Kayle etc. Bloodstone has always been very accepting of who I am, and even enjoys having me here most of the time. The raid times are perfect for my full time job life, and we do the raids that I enjoy. I love that we do two dynamis's a week, and all the raids that generally drop the gear that I want. I can log in, without feeling like noone cares that I will be there. Someone is always waiting for me with a friendly hello, and maybe even something to help with! I have heard from alot of people currently in Bloodstone that they enjoy being a part of the family. My true desire is to finish all of my salvage gear. I will dedicate myself to doing everything to help the Linkshell when it is required of me, but I like to spend my free time mastering salvage and learning different runs. I am also very close to maats cap, currently 12/15 jobs at 75 required to obtain it. Another big goal I have in mind is to one day have a relic scythe, but will most likely not happen before FFXIV comes out. Well, I think that's enough about myself. Thank you so much for taking the time to read this application, and I wish you the best of luck in your application process. The more you tell us about yourself and your accomplishments, the better you look! Please enjoy this Cutearu picture! Last edited by Rikkitikkitavi on Tue Mar 16, 2010 10:58 am, edited 8 times in total. get to work Rikki jesus.. Yes, I kept it. Here it is in all its ridiculousness, just for you guys.